How Has Google's Mobile Friendly Update Affected Websites? Last week, Google started rolling out a new mobile friendly update to its mobile search algorithm. This was aimed at significantly changing the mobile search results to give preference to mobile ready web sites over non mobile ready ones. Experts jokingly termed it 'Mobilegeddon', because all signs indicated that it is a major change in many years, and will significantly impact websites. But a week after the launch, has it really been such a significant update? Thus far, the algorithm doesn't seem to have had as big of an impact as we expected. Google confirmed in the Webmaster Central blog that the roll out began on Tuesday, April 21st. Some experts started seeing a difference as early as the 22nd. Some websites such as SEJ even published a list of top winners and losers from this mobile friendly update. However, in many cases, these changes were merely slight disturbances, and not very significant shifts. Several SEO metric companies such as Searchmetrics are tracking the update and for the most part, they are not seeing huge shifts in the Google mobile ranking algorithm just yet. This is not to say that websites haven't been affected. Quite the contrary. Some websites certainly seem to be losing and some taking advantage. But compared to overall search volume for major keywords, the change isn't huge. However, Google has said that the roll out can last a week more yet. So maybe we just need to wait a little longer. According to Moz, "so far, the big day was April 22nd, and it wasn't that big." Peter Meyers from Moz has been tracking mobile search results rankings for a set of top keywords, and according to him, the punch of the update hasn't fallen, not as yet anyway. 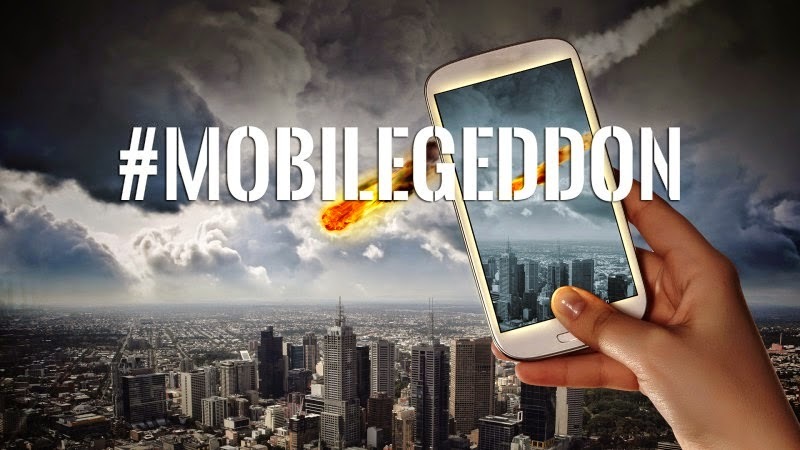 Some experts reckon that Mobilegeddon is here. According to Searchmetrics, 'visible trends can be seen in the new data'. But for the most part, the webmaster community hasn’t been too impressed with the level of significance in the mobile results. Ryan Heuser from seoClarity noted a variance of only 5.1% in Google mobile search results. This means that most are not noticing significant changes to the mobile search rankings yet. Again, that might change over the course of the next week. With that said, there is still time to make your site mobile friend. Follow the article below to get started on that. Hi qasim this ,obile algo increased my traffic but again confused me. Still i am not getting the point that my blogspot blog is responsive and mobile friendly like yours. Now should i used normal google adsense ads or responsive ads? Because google policy is more confusing they are sating desktop ads can not be implemented on mobile sites. Can you diffrentiate between "Mobi'le'-si'te'" and "mobile frriendly"
Are you using normal or responsive? Thank you sharing it with us.